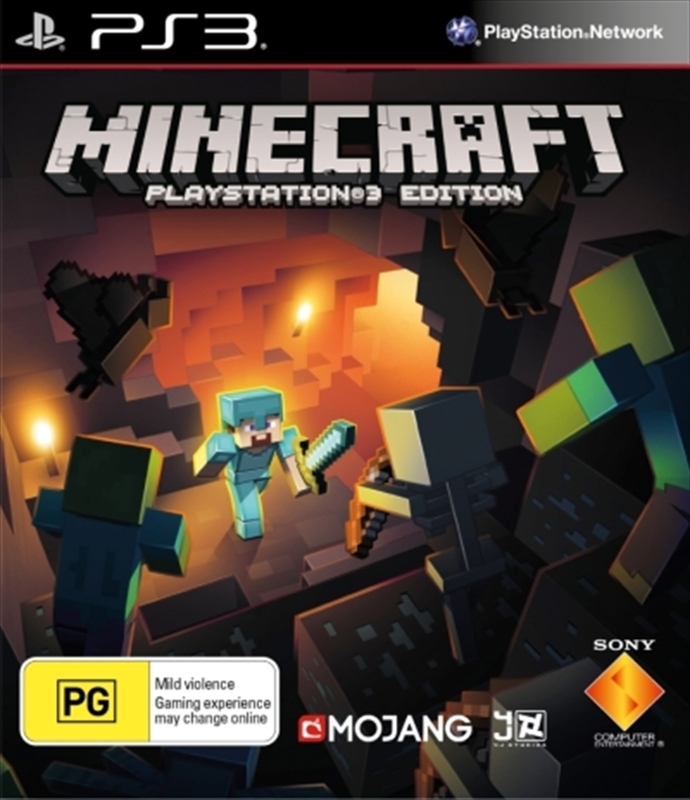 Build, craft and explore in Minecraft: PlayStation 3 Edition Discover a world that gives players the freedom to do whatever they want. Dig down into the unknown depths or build incredible structures, from humble homes to grand cityscapes. Survive alone or join forces with friends online and offline. Imagination is the only limit. First-time players can learn their way around one block at a time in the new tutorial mode. Supports eight-player online multiplayer and four-player split screen modes. Includes the free-roaming Creative mode with unlimited supplies to build whatever you can think.